This entry was posted in bath and body, bath products, Fragrance Oils, Natures Garden, Natures Garden Fragrance Oils, soap jelly, Soap making supplies and tagged bath and body, bath and body recipes, bath jellies, bath jelly, bath supplies, crafts for kids, free craft recipe, Halloween, Halloween crafts, halloween soap, kid friendly crafts, Monster Snot Soap Jelly, natures garden, soap jellies, soap jelly, soap jelly recipe, soap making, soap making supplies, Tart Green Apple fragrance, Tart Green Apple scent on August 29, 2014 by Deborah Ward. Fall is fast approaching, and you know what that means! Halloween is right around the corner! With the thought of ghouls and goblins on our brains, we have created the Monster Snot Soap Jelly. Monster Snot Soap Jelly holds true to its’ name with its’ tart green apple scent. It is a Nature’s Garden creation that will bring back all of your childhood memories of fall time and Halloween with candy and costumes as well as your first taste of a tart ripe apple. It is also a fun reminder of your first experience of bobbing for apples or your first taste of some hot apple cider. Monster Snot Soap Jelly is sure to be a Halloween favorite that you will want to make over and over again for years to come. Weigh out and melt down 69 grams of the SLS Free Glycerin Melt and Pour Soap in a clean bowl in the microwave. This will take about 30 seconds. If it is not completely melted, you can put it back in for another 15 seconds. Then measure out and add in 187 grams of warm distilled water. Then, add 4 drops of yellow Da Bomb Soap Dye and then 2 drops of blue Da Bomb Soap Dye. Using a thermometer, make sure that the mixture is between 120 to 140 degrees. If it is at the correct temperature, add in the 4 grams of Optiphen and then mix thoroughly. 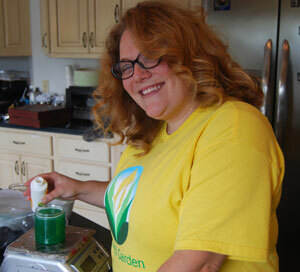 After the Optiphen is mixed in, carefully add 12 grams of our Tart Green Apple Fragrance Oil. With a clean spoon or utensil, mix it all together. After you have achieved your snot color, spray it with the rubbing alcohol. This will get rid of all of the air bubbles. Let the mixture set up for a few hours in the refrigerator to cool or it can just sit out overnight, until it is a gooey, almost jelly-like texture. This step is completely optional and just for pure fun. 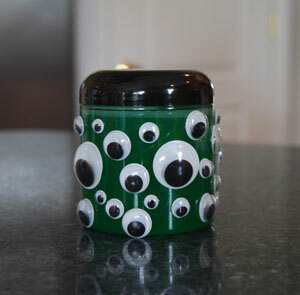 Now that your Snot is finished, add googly eyes or some kind of Halloween decoration to the outside of your jar like we did to make it look like a monster! 9. Your Soap Jelly is now ready to use! Have fun with your scary new friend! 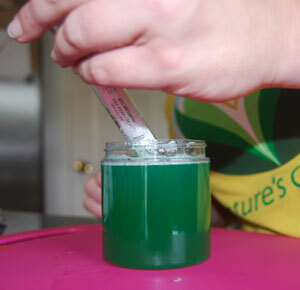 We hope you have enjoyed making our awesome Monster Snot Soap Jelly! The smell of the tart apples will surely remind you of your own candy filled memories. It is sure to be a fun project for your kids or even a great Halloween feature to add to your own house of haunts for the season! Are you ready for some more fragrance fun? Visit our free recipe box for many more awesome ideas! This entry was posted in candle fragrance oils, candle making supplies, Fragrance Oils, Natures Garden, Soap making supplies, wholesale fragrance oils and tagged best selling scents, blueberry cheesecake fragrance, blueberry cheesecake scent, candle making supplies, candlemaking supplies, cold process soap scents, fragrance diffuser oil, fragrance oil, fragrance oils, fragranceoil, great food scent, homemade, natures garden, oil diffuser scents, scents for making candles, scents for soy, scents for soy candles, scents that have good cold throw, scents that have good hot throw, scents that have strong throw, scents that smell like food, scents that work in soap, scents to make your home smell good, soap making, soap making supplies, soap scents, soapmaking, wholesale fragrance oil on August 28, 2014 by Deborah Ward. Blueberry Cheesecake Scent is a warm and delicious mouthwatering scent. In products, this blueberry scent perfectly balances notes of ripe blueberries, warm buttery vanilla, and scrumptious graham crackers. In fact, many of our clients say this fragrance is a bestselling scent all year. Some have even said Natures Gardens Blueberry Cheesecake scent draw customers in. This scent is not only loved by all, but is a fabulous bakery scent that lovers of food type scents. According to our clientele this amazing food scent is good enough to eat. This is a spectacular scent and is a must have in your stock. What does Blueberry Cheesecake Smell Like? This fragrance oil by Natures Garden is the scent of sweet, yummy decadence starts with Tahitian vanilla, rich creamy butter and ripe blueberries atop a crumbly graham cracker crust. 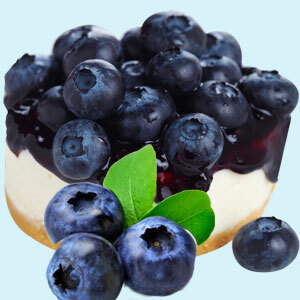 How Do Our Customers Use Blueberry Cheesecake Fragrance Oil? For those of you that are candle crafters; this scent is amazing; especially if you are just starting out. Our customers use this great food scent in their soy, Pillar of Bliss, Joy, paraffin, and palm waxes. This fragrance is fantastic in candles, and has terrific hot and cold scent throw. Blueberry Cheesecake scent also works well in tart, oil burners, and reed diffusers. For bath and body crafters, this fragrance oil smells like freshly baked blueberry cheesecake. 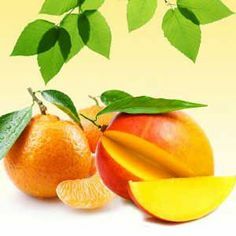 The usage rate is 5%, and this fragrance has a vanillin content of 7.5%; so vanilla white color stabilizer is highly suggested to help stabilize discoloration in finished products. This yummy fragrance can be used to scent: melt and pour soap, lotions, bath bombs, body butters, and spray. Finally, for those of you that are cold process soapers, this fragrance is so worth the discoloration. Here are the official testing results: No acceleration, no separation. Great strong scent! Discolors to a dark chocolate. Yummy! . This entry was posted in candle fragrance oils, candle making supplies, Fragrance Oils, Natures Garden, Soap making supplies, wholesale fragrance oils and tagged absinthe fragrance, absinthe scent, body safe fragrance oils, candle fragrance, candle scent, candlemaking, fall fragrances, fall scents, natures garden, soap fragrance, soap making, soap scent, wholesale fragrance oil, woodsy fragrance, woodsy scent on August 26, 2014 by Deborah Ward. 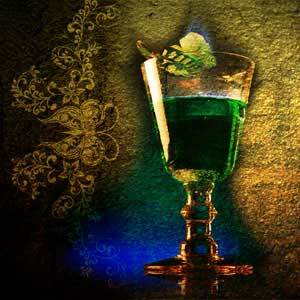 Absinthe scent is a strong spicy scent that our customers have called both dark and hypnotic. Many of our clients have had huge success with absinthe being one of their bestselling fragrances. So if you are looking for that must have fall fragrance, look no further. Absinthe scent will have your customers coming back for more. What does Absinthe Scent Smell Like? Natures Garden’s Absinthe fragrance oil is an aromatic blend of just the right combination of star anise, fennel, spicy cinnamon cassia, nutmeg, melissa, fresh green herbal notes, with base notes of amber and woods. How Do Our Customers Use Absinthe Fragrance Oil? For those who are candle crafters and room scenters; this Absinthe fragrance is used in soy, soy blends, Pillar of Bliss, Joy, and tart waxes. This dark scent is extremely strong and has excellent hot and cold scent throw. Natures Garden’s Absinthe fragrance oil also works well for air fresheners, whether it is aroma beads, room sprays, or oil burners. 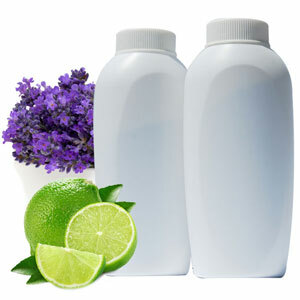 For the bath and body end of products, our absinthe scent has a usage rate of 5%. 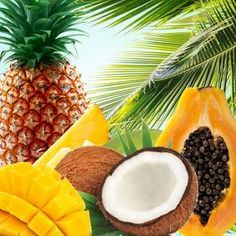 This dark fragrance is used to make a variety of personal care items like: lotions, melt and pour soaps, perfumes, and body wash. And, for those of you that are cold process soapers, our customers love this spicy scent. Here are our CP findings: Slight acceleration, rices but stick blends out, no separation, discolors to a light brown. An amazingly strong scent! This entry was posted in candle fragrance oils, candle making supplies, Fragrance Oils, Natures Garden, tarts, wholesale craft supplies, wholesale fragrance oils and tagged candlemaking supplies, candy corn clamshell tart, candy corn fragrance oil, candy corn scent, candy corn tarts, candy corn wax melts, candy fragrance, candy scents, clamshell tart recipe, Halloween scents, how to make tarts, how to make wax melts, natures garden, pillar of bliss wax, tart recipe, wax melts recipe on August 21, 2014 by Deborah Ward. Our Candy Corn Tarts Recipe is inspired by that very popular Halloween treat that is loved by so many. In fact, these tiny little pieces of sugary goodness are so cherished that they have their very own holiday. It’s October 30th just for anyone that wants to celebrate with me. With Natures Garden’s easy to follow candy corn tarts recipe you can fill your house with that same warm vanilla candy corn scent that you loved as a kid. As an added bonus, we have packaged them in our easy to use clamshell containers. That means no mold needed and instant packing! Using a double boiler, weigh out and melt 10 ½ oz. of Pillar of Bliss Wax until it is completely melted. You will need three empty clamshell containers ready. First you will want to prepare the orange layer. Pour 1/3 of the melted Pillar of Bliss Wax into a paper bowl, then use a toothpick and dip it into the Orange Spectrum Liquid Candle Dye and mix it into the Pillar of Bliss Wax. You will want to keep the remaining wax on the double boiler so that it does not solidify. Stir in 1 tsp. Candy Corn Fragrance Oil to the orange wax and fold your bowl into a spout to dispense the orange layer into the first 1/3 of each cavity of the three clamshell containers. Allow this layer to setup before moving to step 4. Now, to prepare the yellow layer, pour the remaining wax into the last paper bowl. 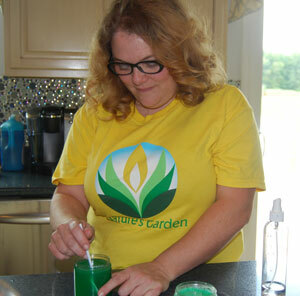 Then, using a toothpick, add a small amount of Yellow Spectrum Liquid Candle Dye. Then, add 1 tsp of Candy Corn Fragrance Oil to the yellow wax. Pour this wax on top of the white layer. Once the wax has setup, close the clamshell container. Your Candy Corn Clamshell Tarts are now ready. You can simply place one square in your potpourri burner or wax burner and let the candy corn aroma fill the room! We hope that you have had as much fun as we did making our Candy Corn Clamshell Tarts Recipe! 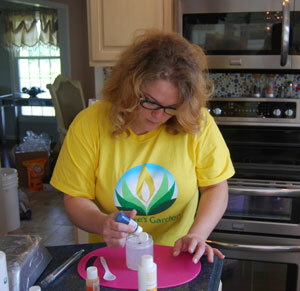 Natures Garden offers a variety of free recipes for candles, room scenting soaps, and bath and body products. We are constantly creating new recipes for our customers. To view our entire catalog of free recipes and classes, be sure to visit our Recipe Box. 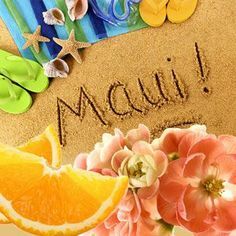 Also, for more fun and unique Holidays take a moment to visit our Calendar of Events. This entry was posted in air freshening scents, candle fragrance oils, candle scents, fragrances, wholesale fragrance oils and tagged bakery aroma, bakery scents, bestselling fragrance, candle fragrances, candle scents, cinnamon buns aroma, cinnamon buns fragrance, cinnamon buns scent, cinnamon fragrance, cinnamon scent, fragrances for candles, natures garden, scents for candles, wholesale fragrances on August 19, 2014 by Deborah Ward. 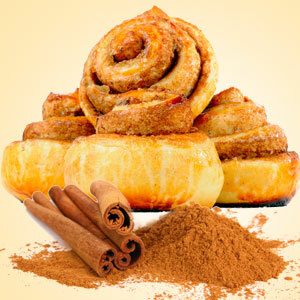 A fabulous scent to use in your home, Cinnamon Bun Fragrance Oil smells just like a freshly baked cinnamon bun. This bakery scent will fill your home with a mouthwatering cinnamon bun aroma without the mess to clean up in the kitchen. In fact, one of our customers stated that she has been asked if she is baking when burning this candle! Considered a bestselling scent by many of our clients, this bakery fragrance is an immediate sell out for candles, tarts, and smelly jellies. What does Cinnamon Buns Fragrance Oil Smell Like? This fragrance oil by Natures Garden is a spicy cinnamon accord with warm nutty undertones along with the aroma of fresh baked bread. A Best Seller! How Do Our Customers Use Cinnamon Bun Fragrance Oil? For those of you who are candle crafters or home scenters; this scent is one huge seller. Used in a variety of waxes like soy, Joy, Pillar of Bliss, Palm, soy blends, and WOW wax, this bakery fragrance oil is awesome when it comes to scent throw. With an amazingly strong hot throw that, this scent is loved by so many of our customers. The same strong scent is also true for the cold throw, which is why this fragrance also works extremely well for aroma beads, smelly jellies, and wax melts. Unfortunately, on the bath and body end, this fragrance oil is not body safe. If you would like to try our free Cinnamon Bun Candle Recipe click here. This entry was posted in Fragrance Oils, homemade sugar scrubs, make your own, Natures Garden, sugar cube scrub recipe, sugar cube scrubs, sugar scrub recipe and tagged cosmetic supplies, fragrance oil, fragrance oils, homemade sugar scrub, how to make your own scrubs, make your own sugar scrub, natures garden, soap scents, soap supplies, solid sugar scrub, sugar cube scrub, sugar scrub, sugar scrub poppy seeds, sugar scrub scents, sugar scrubs, sugar scrubs shape sugar cube, watermelon sugar scrub, wholesale sugar scrub ingredients on August 15, 2014 by Deborah Ward. Ready to take a trip back to childhood? Our sour watermelon sugar scrub cube recipe combines the aroma of a popular candy that kids love, while providing the exfoliation and skin softening qualities that will pamper the ladies. The same mouth-watering taste of chewy, watermelon starburst candies has been effectively captured in this popular Natures Garden’s fragrance oil. The creative staff at Natures Garden doesn’t stop there. These sugar scrubs are a combination of moisturizing glycerin soap, exuberant skin-loving oils, and exfoliating granulated sugar; cleverly packaged in sugar cube shaped clamshell containers. Are you ready for pure bath time enjoyment? Exfoliation fun has just begun! Quickly! Pour the contents of the bowl from Step 2 into the soap mixture and mix them with your gloved hand. 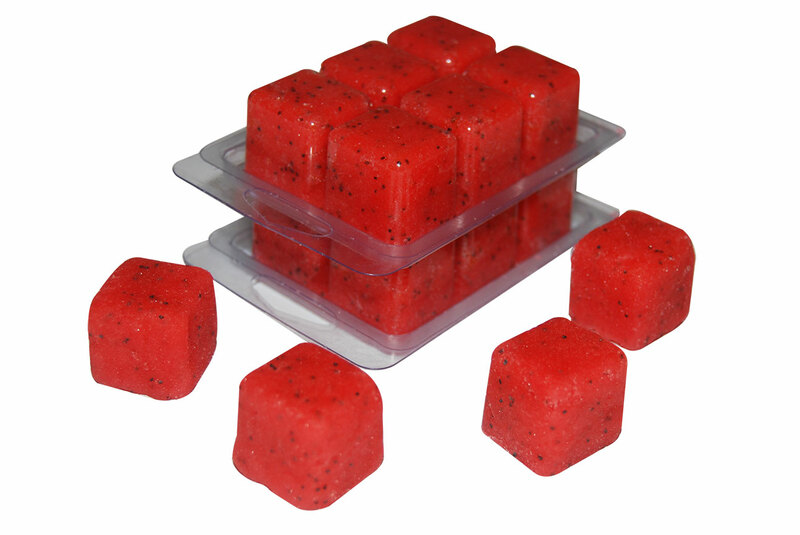 We hope that you enjoy our free sugar scrub cubes recipe! 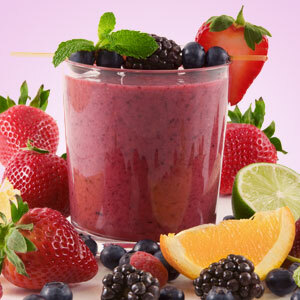 Natures Garden offers an array of free recipes for candles, soaps, cosmetics, and room scenting. We are constantly creating new recipes for our customers. 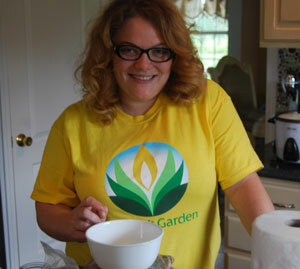 To view our entire list of free recipes and classes, please visit our site. This entry was posted in candle fragrance oils, candle making, candle making supplies, candle recipe, Fragrance Oils, Natures Garden and tagged blueberry candle, blueberry muffin, blueberry muffin aroma, blueberry muffin candle, blueberry muffin candle recipe, blueberry muffin candles instructions, blueberry muffin fragrance, blueberry muffin scent, how to make a blueberry muffin candle, how to make a candle, muffin candle, natures garden on August 11, 2014 by Deborah Ward. One of our favorite-smelling candles is scented with blueberry muffin fragrance oil. 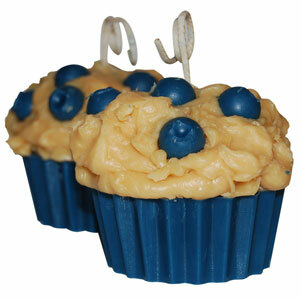 We thought we would make a candle that was authentic to real life blueberry muffins. Our Blueberry Muffin Candle Recipe brings together the sweet smell of blueberries with the creative design of a blueberry muffin. Our blueberry muffin candle recipe will have your house smelling like savory blueberry muffins, and may just get your family thinking that you baked real blueberry muffins. 1. Center a wick pin in the center of the two Mold Market Cupcake mold cavities. 2. Weigh out and melt down 250 grams of Pillar of Bliss Wax. Melt the wax to 195 degrees Fahrenheit and then add 2 drops of Blue Spectrum Liquid Candle Dye, 2 drops of Black Spectrum Liquid Candle Dye, and 1/16 tsp of UV light inhibitor. 3. Drop the wax to 180 degrees Fahrenheit and add 25 grams of Blueberry Muffin Fragrance Oil. Then, wait for it to drop to 140 degrees Fahrenheit to add it to the Cupcake Mold Market Molds and the Cherries/Berries mold from flexiblemolds.com. 4. Next melt down 250 grams of Joy Wax to 200 degrees Fahrenheit. Use a toothpick to add yellow and brown Spectrum Liquid Candle Dye. Wait for the temperatures to drop to 175 degrees Fahrenheit and add 25 grams of Blueberry Muffin Fragrance Oil. 5. Whip the wax while it is still in its liquid state with a whisk. When it has cooled and been whipped, scoop it onto the top base of the muffins to resemble that of a muffin top. 6. Add the blueberries to the muffin top while it is still soft, making sure you press them in firmly. 7. Allow the muffins to harden and remove them from the molds. 8. Remove the wick pin and insert the wick. Trim your wick to ¼ in before burning. We hope you enjoyed making our Blueberry Muffin Candle Recipe! This candle is sure to fill your home with the scent of freshly baked blueberry muffins. This entry was posted in bath and body, candle fragrance oils, candle making supplies, Fragrance Oils, Natures Garden, soap fragrance and tagged berry fragrance, berry scent, blackberry fizz fragrance, blackberry fizz scent, blackberry fragrance, blackberry scent, body safe fragrances, candle fragrances, candle scents, candlemaking supplies, cold process soap scent, cp soap scent, fragrance oil, fruity fragrance, fruity scent, natures garden, soap fragrances, soap scents, soapmaking supplies, wholesale fragrance oils on August 11, 2014 by Deborah Ward. This is a fabulously fruity blackberry fizz scent that really pops! Natures Garden blackberry fizz fragrance is a perfectly tart fruity scent will leave you and your customers wanting more. Our customers say our blackberry fizz fragrance is highly requested. This blackberry aroma, often used in cosmetic products and candles, is a must have. 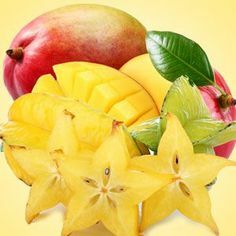 This is a spectacular spring and summer scent, but quickly becomes a popular fruit fragrance year round. What does Blackberry Fizz Smell Like? 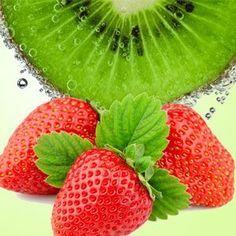 Refreshment has never smelled so good with this fragrance oil by Natures Garden! This fragrance begins with aldehydic fruity notes of blackberry, strawberry, and pomegranate, citrus middle notes of mandarin, grapefruit, and lime, with a base note of bamboo. An NG Original Fragrance! A Best Seller! How Do Our Customers Use Blackberry Fizz Fragrance Oil? For those who are candle crafters and room scenters; blackberry fizz fragrance oil is used in soy, soy blends, Joy, tarts, and Pillar of Bliss waxes. This fragrance is strong and has no problems with cold or hot scent throw. 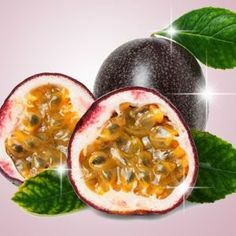 Blackberry Fizz fragrance oil also works well for air fresheners, whether it is aroma beads, or smelly jellies. For all you bath and body crafters, this fragrance is a remarkable. The usage rate for this fragrance oil is 5% and good news, blackberry fizz has no vanillin content, so no discoloration here. 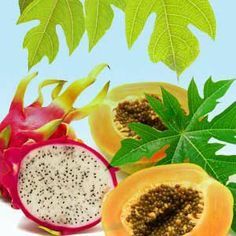 This fruit scent is used to make the following homemade items: soap, shower gels, lotions, sugar scrubs, and melt and pour soaps. 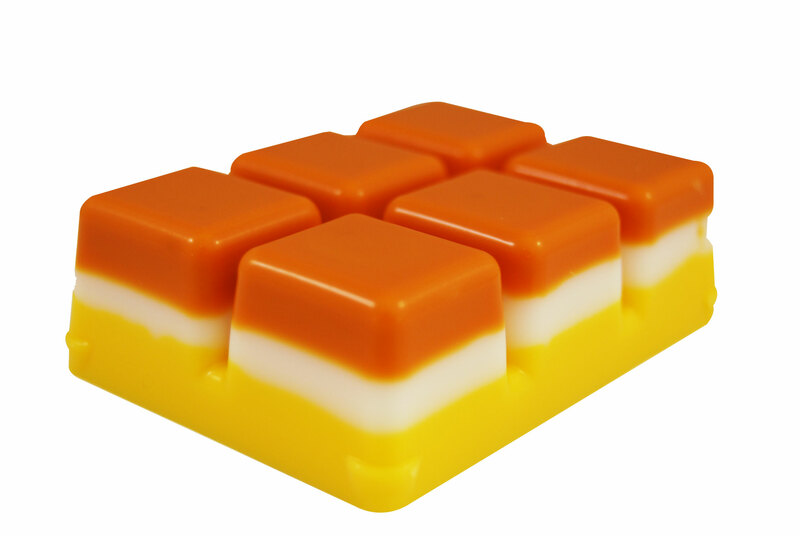 Finally, for those of you that make cold process soap, Beautiful, Perfect Pour, no ricing, no acceleration, no discoloration, very fresh, fruity scent, very realistic fizz element. 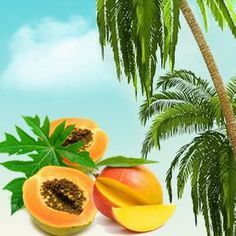 This entry was posted in essential oil, essential oils, fragrance oil, Fragrance Oils, stinky feet powder and tagged adding essential oils to powder, essential oil, essential oils, natural foot powder recipe, powder recipe, recipe to help stinky feet, recipe to treat smelly feet, smelly feet powder recipe, stinky feet powder, stinky foot powder on August 7, 2014 by Deborah Ward. Athletes and people who have strenuous jobs may develop “stinky feet” from time to time. So, we at Natures Garden set out to create a foot powder especially for people who suffer from “stinky feet”. Our Stinky Feet Foot Powder is naturally formulated to neutralize these strong odors; leaving your feet dry and refreshed. 1. Weigh out and mix 121 grams of Kaolin White Clay Powder, 202 grams of Baking Soda, 10 grams of Lavender Flowers Powder, and 10 grams Calendula Flowers Powder. 2. Incorporate in 15 drops Tea Tree Essential Oil and 10 drops Lime Distilled Essential Oil; making sure you mix the oils in with your hands to break up any unnecessary lumps. 3. 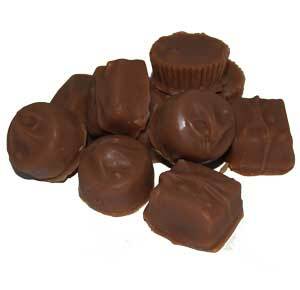 Dispense the mixture into the two 8 oz powder bottle and press the lids on top until you hear them pop shut. We hope that you enjoy our “stinky feet” foot powder recipe! This recipe will leave your feet smelling great, while making them dry and refreshed.